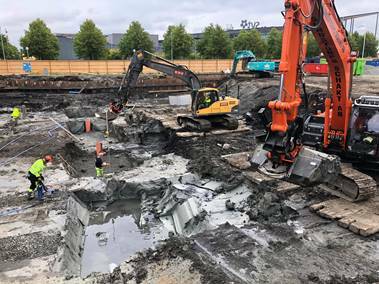 BRA will continue digging out the clay from the construction site, and the frequency of transportation is high which may affect the traffic at Pumpgatan. Piling of house 1.1 is completed. 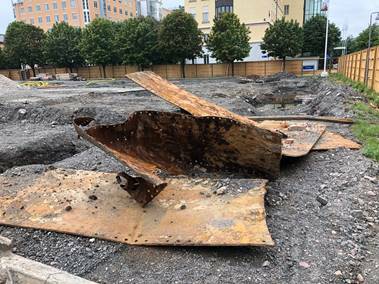 Sheet piling towards Pumpgatan house 1.1 is completed. Old memories found: maybe a part of a ship M/T Bera. BRA shifting out the clay from the workplace. 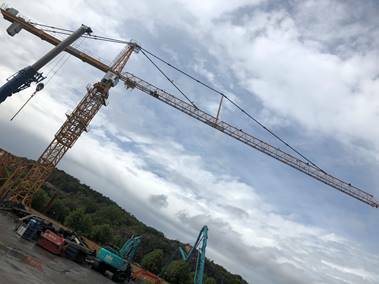 Skanska Assemblin’s crane raises up to the right height and remains there. Concrete folding of the foundation. We are now working with molding and folding of pump and elevator pits. We will start folding with protection concrete at the construction site this week. 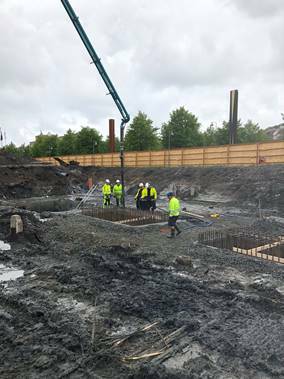 Pålab has started with sheet piling towards Planetgatan for the house 1.1. BRA will complete the digging in the coming 3 weeks. BRA will increase the construction work step by step. 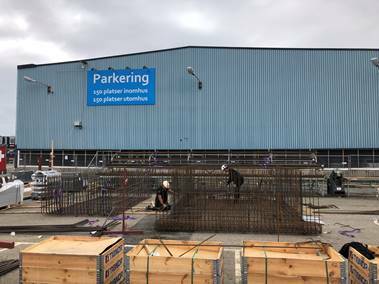 Pålab will start with piling for the house 2 of stage 1 in week 38 or 39. We understand that the construction work may bring some noises and inconvenience around the area, and we really appreciate your understanding. We will keep you updated regularly on the construction journey.